and you don’t have to do a single keystroke of data inputting! R eady made Insight to inform curriculum and improvement planning. 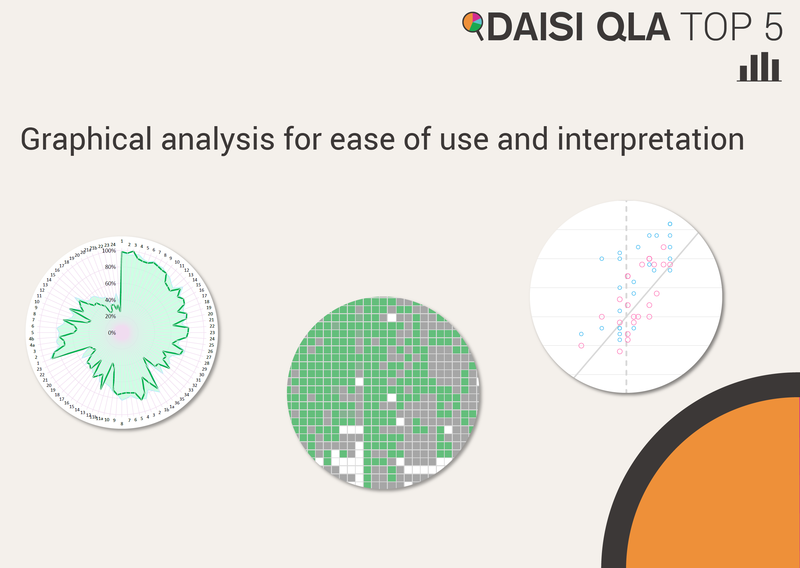 Forensic Analysis to focus teaching on areas of need. Evidence based discussion for implications for the next academic year and what intervention strategies are needed. 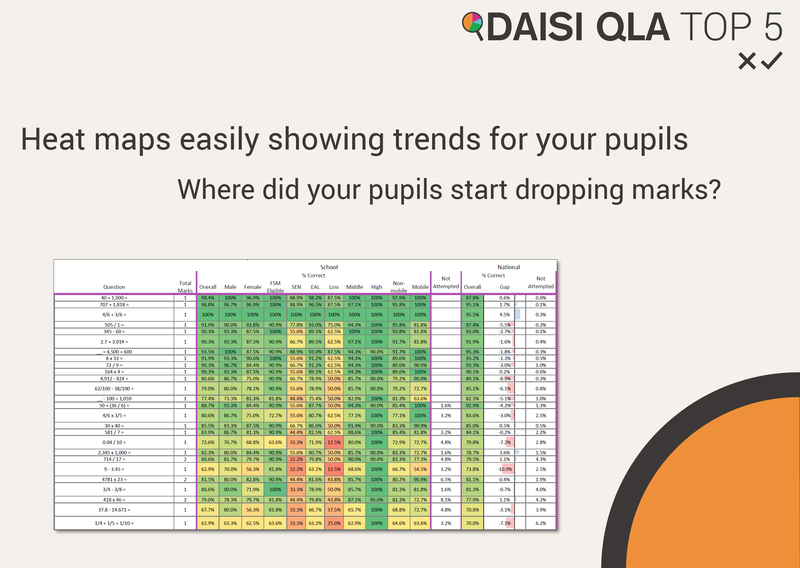 START THE NEW ACADEMIC YEAR IN CONTROL..
Our Question Level Analysis has helped schools find the marginal gains they needed to improve their results over time. Check out one story here. Our Pupil on a Page profile enables the class teacher to focus in on the areas of need for each individual child. 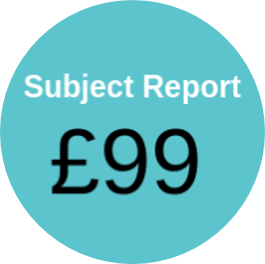 Buy one subject report for only £99. 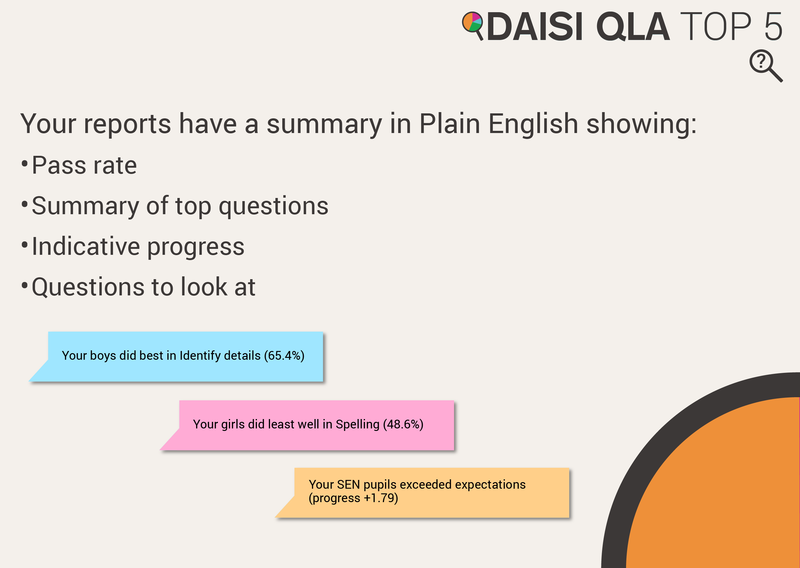 + Comprehensive summary report of your School performance. + Pupil Profile (pupil on a page) for only £249. Your reports will be produced within days from receipt of order and provision of data. Start the new academic year in control. Immediately shows areas that are secure and the gaps to focus on. 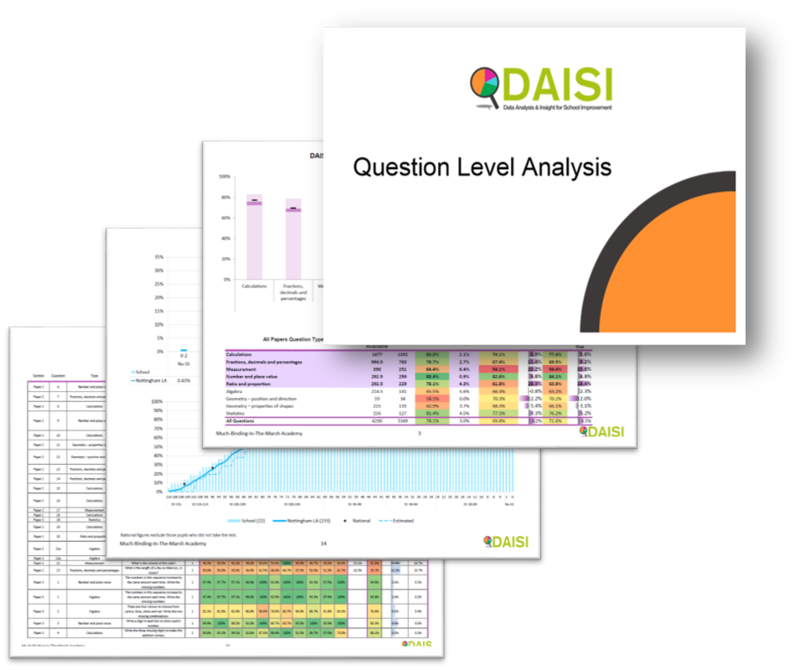 Each question cross-referenced; domain references/mark scheme/test framework, showing which subject area each question is assessing. 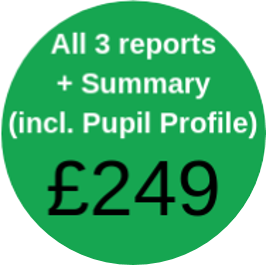 Additional overarching Multi Academy Trust Strategic Report available..
Buy all 3 Subject Reports + Summary + Pupil Profile (pupil on a page) for only £249. 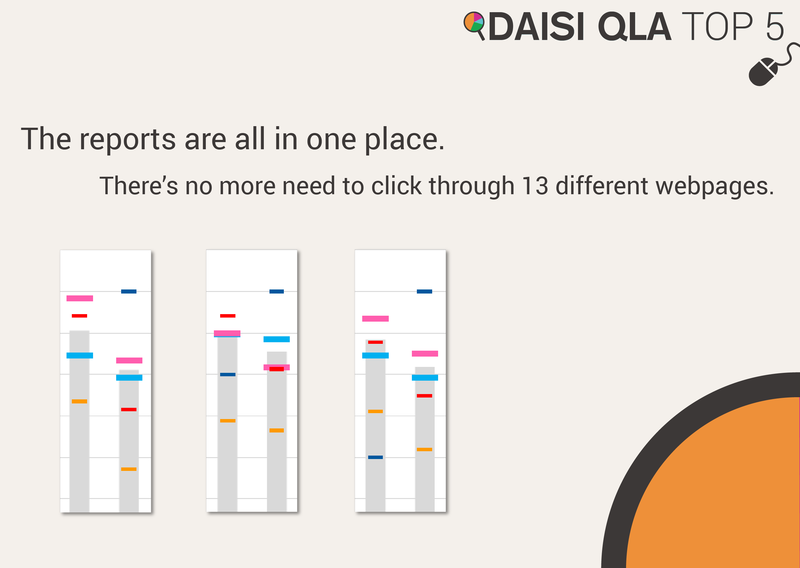 Reports sent via secure email. 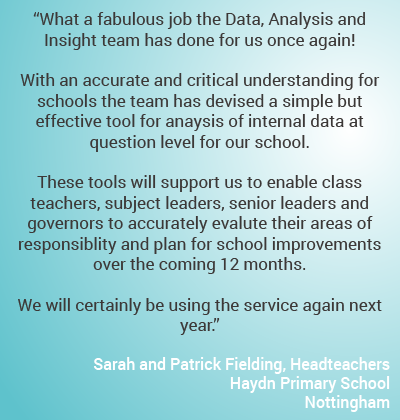 We can also analyse, and produce a comparative analysis of, your schools within your MAT or TSA – please ask for more details and pricing. “You have just saved me 15 fifteen hours of work”. “Much appreciated. Had a quick skim read – it looks great, will save huge amounts of time and support Governor & SLT knowledge. So glad I purchased it. Thanks to you and your team”. “Thanks for the very rapid turnaround. We are really impressed”. We’ll send you instructions as to how to send us your data. Then sit back and we do the rest. 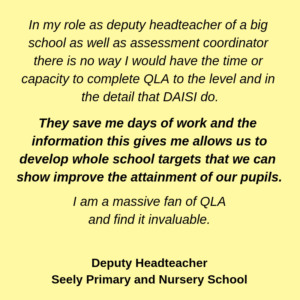 Information also available on our leaflet – DAISI Primary SATs QLA Summary. 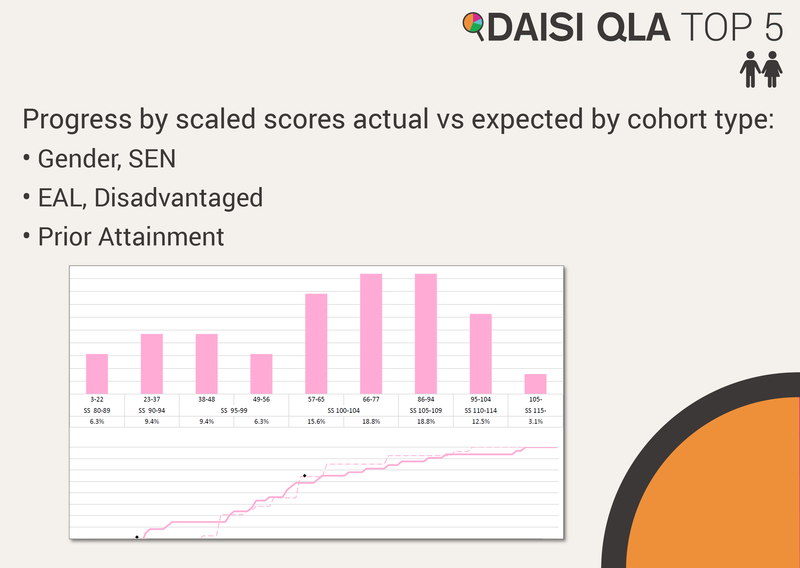 Contact the DAISI Service by email or phone 0115 876 4020 should you wish to discuss your requirements. Don’t forget, if your Year 6 cohort has 15 pupils or fewer, please contact us to discuss a special discount.